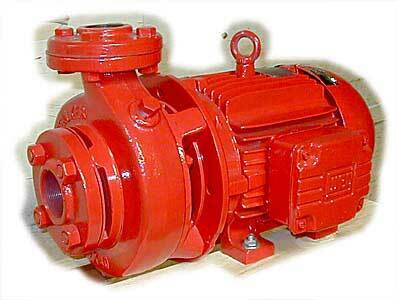 Casing/Impeller/Intermediate Cover/ Motor End Coupling - Cast Iron to AS1830. Fasteners - Zn Coated 4.6 - 8.8 grade. Gaskets/Seals - Nitrile or Insertion Rubber. Mechanical Seal - DIN 24960 - Rubber Bellows Type. Ball Bearings (Motor) - Long life maintenance free.